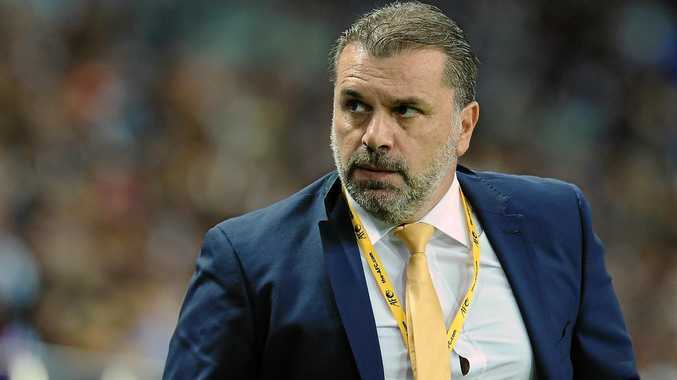 SOCCEROOS stars have leapt to the defence of Ange Postecoglou, to a man saying they are fully behind the coach's game plan. Critics were quick to lash Australia's tactical approach to Thursday night's 2-0 defeat to Japan, a result that has left the country's hopes of qualifying automatically for next year's World Cup on a knife's edge. 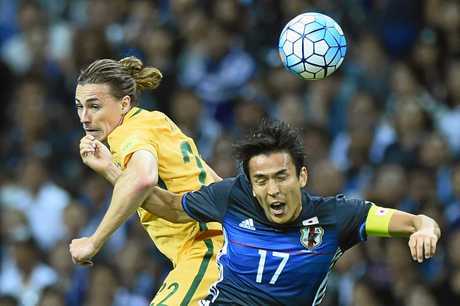 Postecoglou himself said he took full responsibility for the way the team played in the Saitama Stadium cauldron. But captain Mark Milligan, goalkeeper Mat Ryan and midfielders Jackson Irvine and James Troisi all said it was the players' fault for not executing the game plan properly. 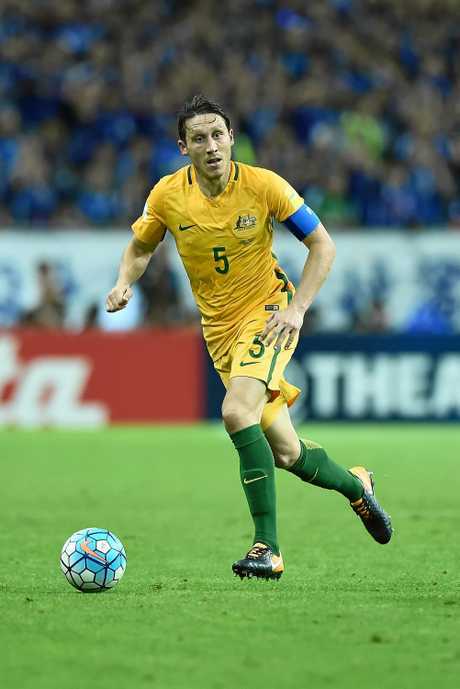 Players lamented the side's slow ball movement against a Japanese side that sat back and cramped the Socceroos for space. But both Irvine and Milligan said their team needed to get better at finding ways to combat opponents who want to employ such defensive tactics. Former Socceroos and English Premier League goalkeeper Mark Bosnich attacked the way in which Ryan was instructed to play out from the back at all costs. But Ryan himself said he too was at one with the plan. A shattered Milligan, who played on the right side of a back three, said the loss was hard to take. "Normally I can look back on a game and be very clear but, I'm sorry, I can't really pinpoint," Milligan said. "We need to get back to what we're good at: we're good at moving the ball quickly, moving oppositions around, picking the times to penetrate and getting balls into the box. We need to get back to that. "If a team wants to sit off us a bit, we need to find answers in other areas." Irvine, who shouldered defensive midfield duties with Massimo Luongo, said "their set-up made it difficult" during the night. "They were well-drilled, organised, they sat deep and played with real pace out wide," Irvine said. "Their first thought when they won the ball was the transition to get it out wide to catch us on the counter attack. "I think we struggled to deal with it throughout the game and I'd just say fair play to them. "They got it right tonight, but we should be capable of finding answers to the questions they asked us on the pitch." There was a symbolic moment to reflect what Irvine said about Japan sitting deep, which involved Irvine himself midway through the first half. It was when Irvine stood with the ball at his feet for about 10 seconds on the attacking side of the centre circle but no Japan player came at him. But there was also a lack of movement from his teammates at that point. "Yeah, it's difficult," he said. "As a midfielder you want to try and play the ball forward, but the spaces were so tight, they were obviously trying to stop us playing those threaded balls between lines that we like to play. "It's frustrating but we needed to move the ball quicker and, as I said, find answers to the questions they were asking of us." Postecoglou said of his game plan: "The team we put out there was certainly good enough to get the job done. "I'll take responsibility for the team selection, the way we played. (The) result is on me, it's not on the players or the ones missing." Bosnich, for one, seemed to agree with Postecoglou's sentiment. "Maty Ryan put his defenders in silly positions because of these ridiculous instructions from Ange to play out at all costs," Bosnich said on Fox Sports. "You can't do that at the top level of football. There are times where the defenders are really, really knackered at defending. You're putting people in situations where it's risk over reward. 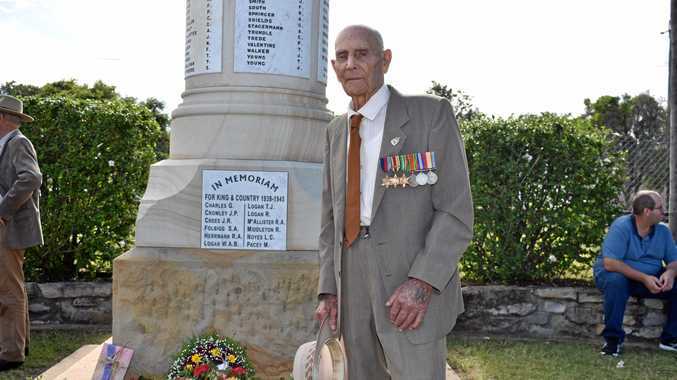 "I sympathise with him (Ryan). He has to do what the manager has told him, but if he does that, he puts his team under pressure like he did a lot of time." But Ryan was okay with what the team set out to do. "We were punished for not being good enough for long enough periods in the game," Ryan said. "Our fundamentals let us down for for the first goal. Japan went backwards and we didn't get out of our box quick enough and kept them onside and they punished us. "For the second, we tried to play it out from the back, but turned it over cheaply. We didn't recover well enough and at this level if you're not on top of your game for long enough you will get punished." Troisi, who was paired with Tom Rogic as the two advanced midfielders, did say there could be little margin for error with the team's aggressive style of play. "We didn't play the way we were meant to play, to the structure we were meant to play," Troisi said. "When there's kinks in the chain, even one kink, it doesn't work for us. "You look back at Chile, Confederations Cup, everything worked. Why did things work? Because we did things the right way. (Against Japan) we didn't play that way. "I think that's the main thing that frustrates - we know it works."